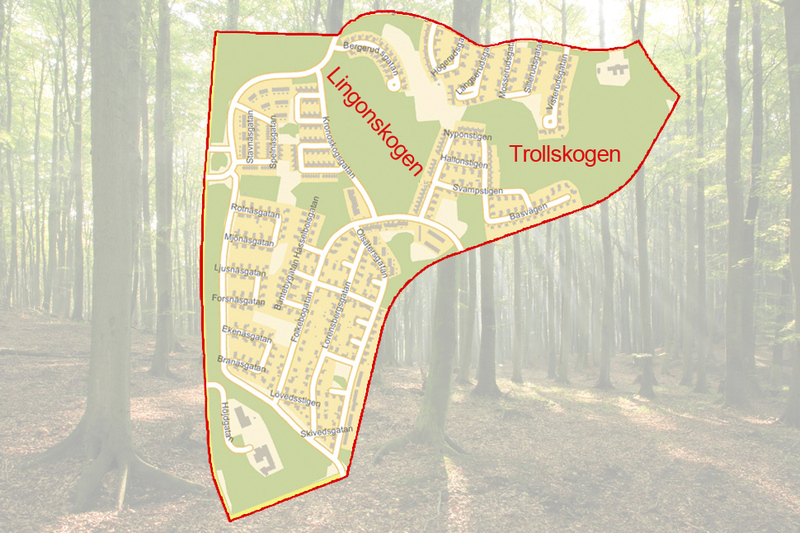 We are delighted to present the result of the vote on names for the two forests in Lorenzburg. We have received forty suggestions ranging from mundane and pragmatic, via comic to poetic and imaginative. The two contributions receiving the most votes are Lingonberry forest (Lingonskogen) and the Troll Forest (Trollskogen). These forests, together with Dårbacken (Crazy-slope) are the first geographic features to be given names. We hope to be able to give names to more places on the map in the future. This is a project aiming to increase safety in the area, as this will make it easier for children and adults to communicate exactly where they are. This could help resolve the situation in cases of emergency or if one suspects criminal activity. We congratulate Lorenzburg and give thanks to everyone who either voted or contributed a name. We hope to be able to arrange an inauguration ceremony during the spring. Check back soon for more information!